When the Colorado Rockies have home games in the spring and summer, traffic south of the studio can get seriously snarled. We recommend avoiding I-25 downtown, and especially the 20th Street exit off I-25. Use Waze for the best route that day! And if you’re taking an Uber or Lyft, don’t assume their navigators will avoid traffic – we’ve heard they don’t. 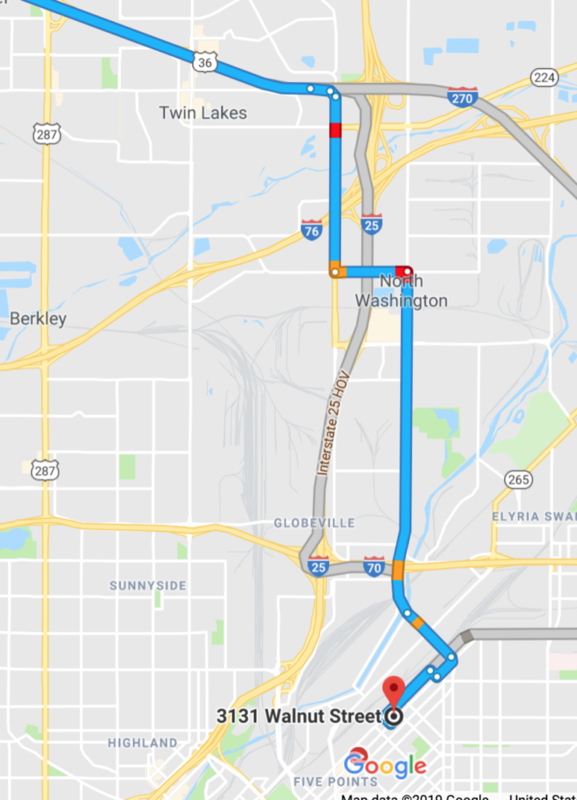 If you’re coming from the north, east, or west, use the Washington Street exit off the I-25/I-70 intersection. And if you can see that I-25 is backing up to the north, you can get off on Broadway to avoid I-25 as well. But usually you’ll be fine just taking the Washington Street exit. Easiest thing to do? Use Waze. If you’re coming from the south, you want to avoid I-25 north through downtown. 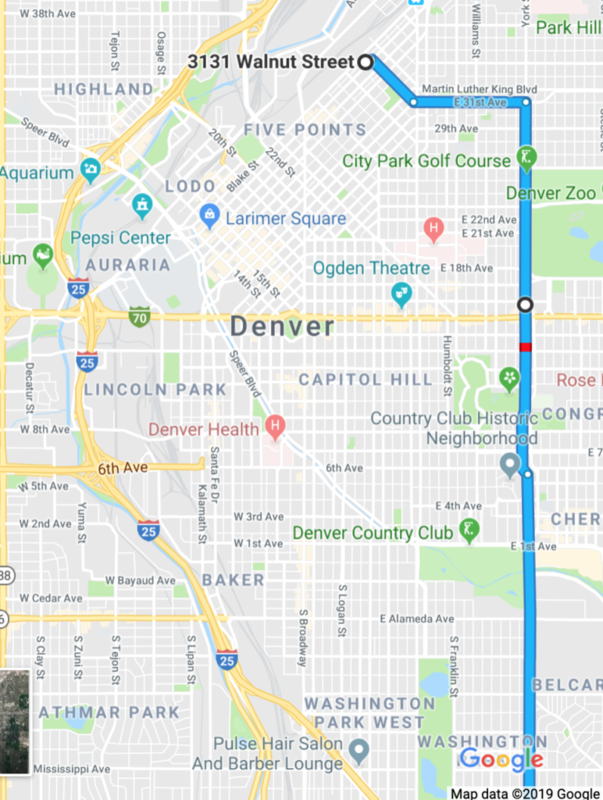 Take an alternate route north, such as York, Lincoln, Downing, or Colorado Boulevard. The map below shows the route on York.